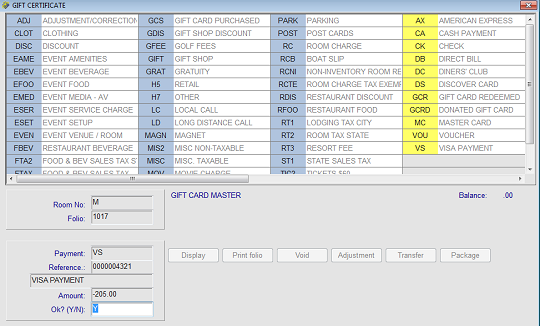 This document tells you how to sell/issue gift cards or gift certificates using Execu/Gift®. 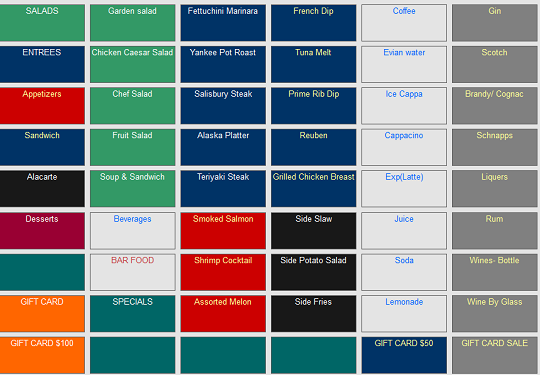 Select "Gift Cards" from your Front Desk or Guest Services menu or from the icon on your toolbar. The Execu/Gift program will open to the screen shown below. To create the card without swiping the card, enter the information here. The "next" card number will default. Swipe the gift card and press Enter. If the card number does not exist a prompt will ask if you want to create the card now. This prevents duplicating card numbers in error. After swiping the card or entering the card number, you return to the main screen. Click "Profile Link". Click "Get Name" for "TO and "Purchaser". "TO" is a required field so that the card can be looked up by name. However, some properties create cards linked to a general "gift card" profile and this is OK. When you click "Get Name", Profile Entry and Lookup will open so that you can select an existing profile or create a new one. After you have assigned the purchaser and recipient, click "Add Balance". DO NOT click "save" until you have added the balance. Otherwise you will create a one-use card with no dollar value. Enter the payment type that the guest is using to pay for the gift card. Process the payment as usual. The Post window will close automatically when you have finished. A popup will prompt for the room number. The default code is GCRC as shown below. Do not change it. Continue to press Enter through the screen. 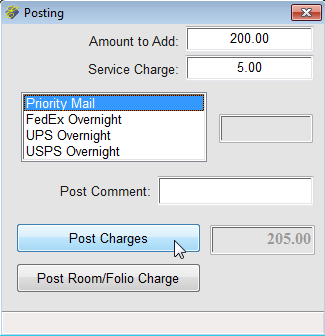 When the transaction is completed the Post window will close. 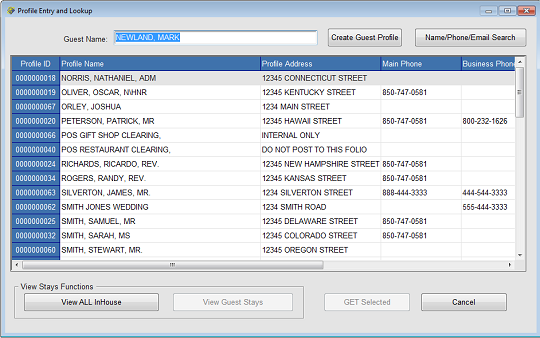 Below is the guest folio after the posting of the gift card sale to the guest's room. If you select the GIFT CARD item that does not have a fixed value, the system will prompt for the amount. 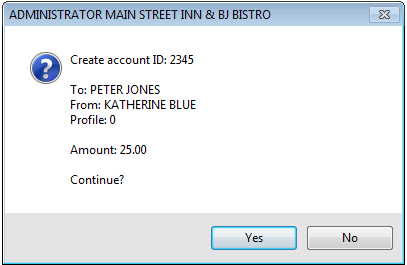 Enter the dollar amount and select OK.
At the next prompt enter the card number to create or swipe the card. At the next prompt enter the name for the card recipient. At the next prompt enter the name of the person the card is from. Continue if the information is correct. DO NOT use the quantity feature when selling gift cards. if you are selling three gift cards, select the GIFT CARD button three times as shown below. Each card must be on its own line so that the card number, etc., can be applied. Below shows the sale in the POS master folio. 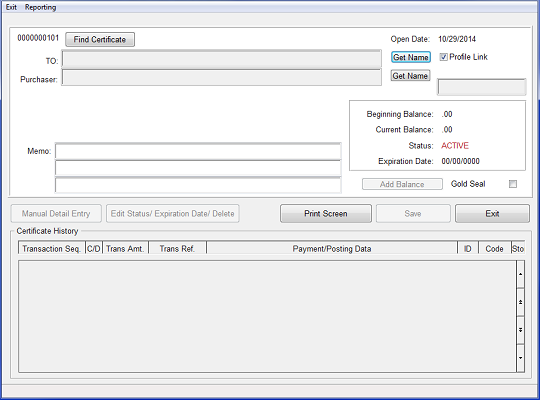 You can look up a card in Execu/Suite PMS by card number (swiped or manually entered), whether the card was issued through PMS or POS. 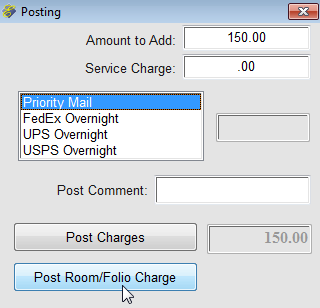 You can look up a card in Execu/Suite PMS by name, whether the card was issued through PMS or POS.